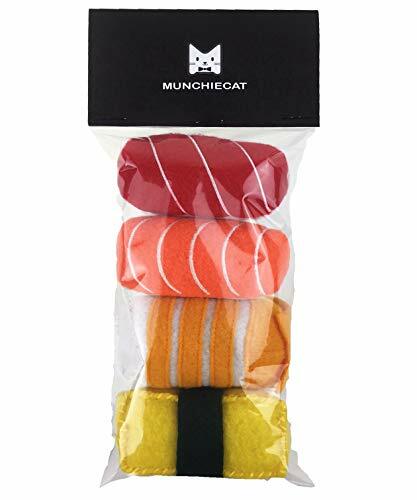 PLUSH, NON-TOXIC, PET-SAFE MATERIALS – Munchiecat's toys are thoughtfully made using non-toxic, pet-safe materials so you can feel good about offering them to your furry friend. 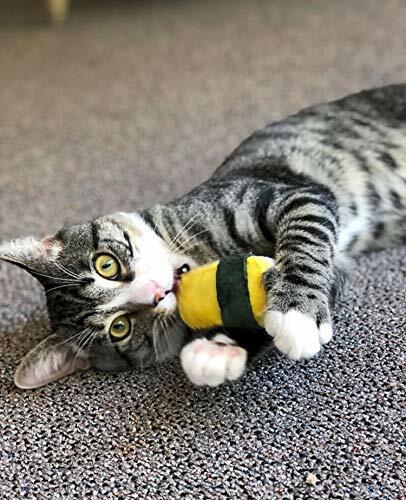 Contrary to popular cat toys like cat wands, we stay away from decorative strings, feathers, or small parts that can break off and cause choking hazards. Our simple designs are safe and durable. 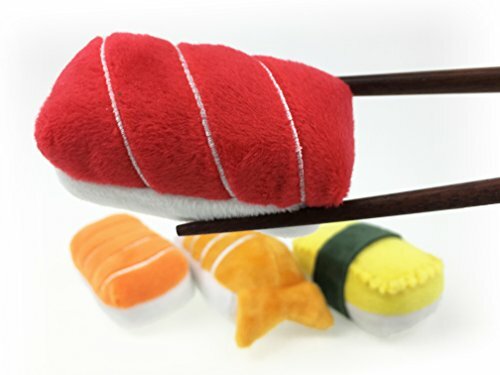 KEEPS YOUR CAT HEALTHY – This 4-Pc Sushi set is plush and soft, these toys are light and small enough for even the tiniest of kittens to enjoy. 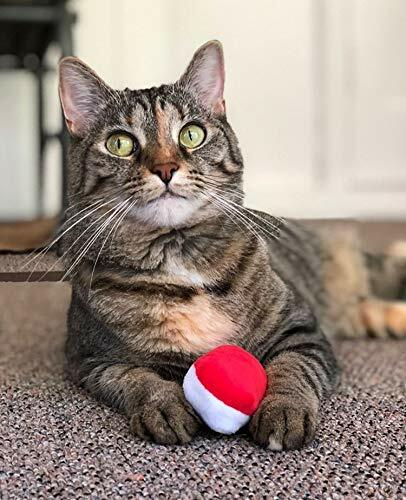 Your grown cats will find them easy to pounce upon and carry around like prey. 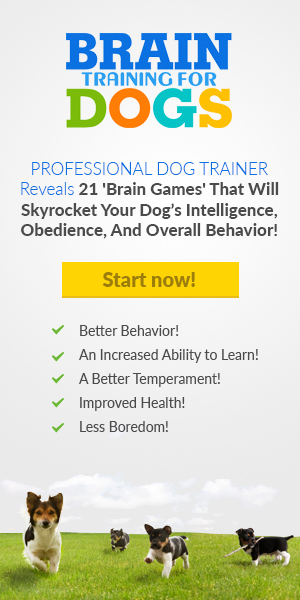 Or draw out their inner cheetah with a toss across the floor! 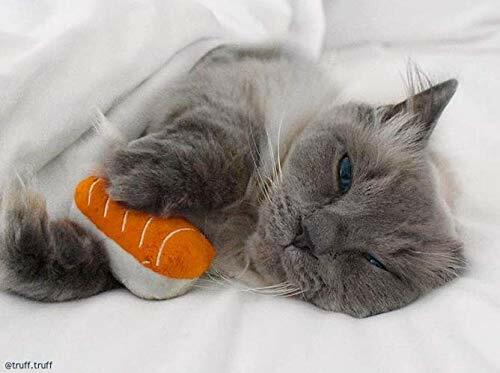 TWO PAWS UP – We know just how finicky felines can be. 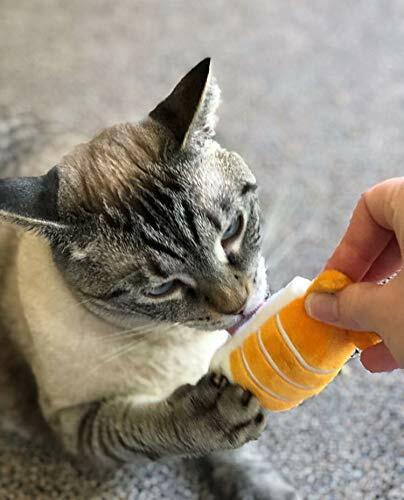 Each cat has their own unique preference for toys. 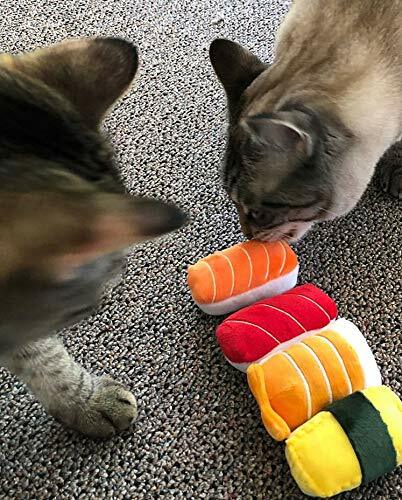 If your kitty doesn't absolutely LOVE their new sushi toys and meowing for more, we will refund your money, no questions asked!